We’ve all seen the advert, and so we all know now that The Watch is here. Described by Apple as the “most personal device yet”, the Apple Watch is set to change the shape of the wearable technology industry from being something that has primarily been the sole reserve of sports enthusiasts, into commoditised everyday devices that will no doubt one day be as common as the smartphone. We’re not there yet, of course, and it may be some time before we are. It wasn’t really until the 4th generation of iPhones hit the shelves that one could really say that the smartphone market had arrived and was here to stay – and that was 3 years after the release of the first iPhone. One suspects that the smartwatch revolution might take even longer to get off the ground. And the reason for that is actually down to the size of the thing. Screen real estate has always been an issue for tablets and smartphones of course – but this has largely been from a design perspective. As we have all found, we are quite capable and happy to browse the web and play with all manner of apps on our handsets, despite the fact that they have much, much smaller screens than the desk and laptops that we had theretofore been used to. We don’t mind holding our smartphones in our hands, tapping and swiping and pinching until our hearts are content. But smartwatches won’t be used in the same way. Of course they will be connected, but I can’t imagine for an instant anyone wanting to hold their wrist an inch away from their nose and browse the internet. No, and I think that a lot of initial resistance to the smartwatch will come from this misconception. The Apple Watch is not an iPhone. It’s not meant to replace your mobile, and do all those wonderful things that our mobiles can now do. Rather, it’s what your watch can do that your mobile can’t that will ultimately be its selling point – and it may be a while yet before consumers as well as developers really start to get to grips with that. It’s been less than 2 months since The Watch arrived on our shelves. As with all smart devices, what will make or break the success of the thing is the quality and functionality of the apps that are made available for it. So, let’s take a look now at some of the best apps that are already in the App Store to download immediately. 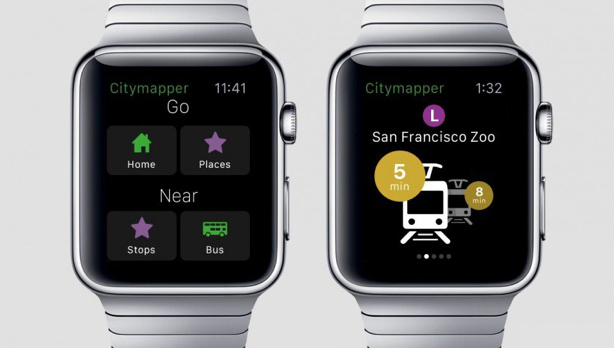 If you’re lucky enough to have an Apple Watch, and even luckier to be living in one of the cities that supports Citymapper, then, well, you’re in luck!! Your ultimate guide to public transport is now available right on your wrist, bus times, train times, what’s near you in the city, what shops, restaurants, events. Of course, you can just do all this in the app on your phone, but it’s certainly more convenient to have that information right there on your wrist. Don’t fancy hanging around for public transport? Sick of hailing cabs that never stop? Then join the Uber revolution and get the associated app right there on your arm. 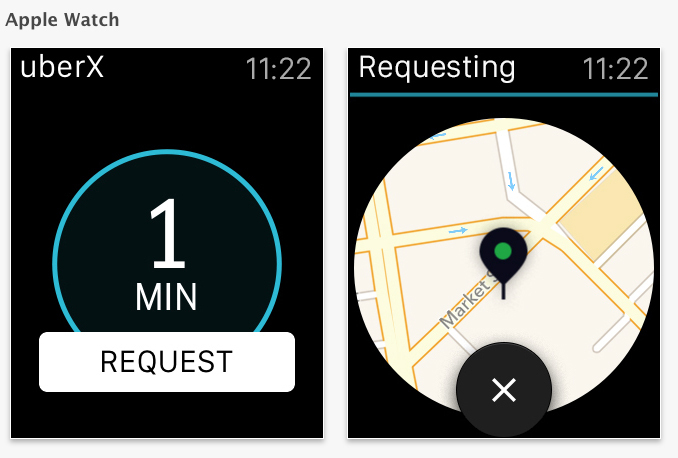 With Uber you can order a private individual with a car with a single tap on your Apple Watch. You will be able to track the progress of the ride as well as receiving an alert when it’s arrived, all without even having to pull out your phone. Cool. Ok, so this one will only count if you’re a fan of this particular social platform (I am, as it happens). What’s so good is that 140 characters fit perfectly onto the face of the Watch. You can browse your feed in its entirety, favourite, retweet and use dictation to compose a new tweet yourself. Nice one. Now here’s something that the Apple Watch genuinely enhances the experience of. Being able to remotely trigger your iPhone to snap a picture is a great thing to be able to do. 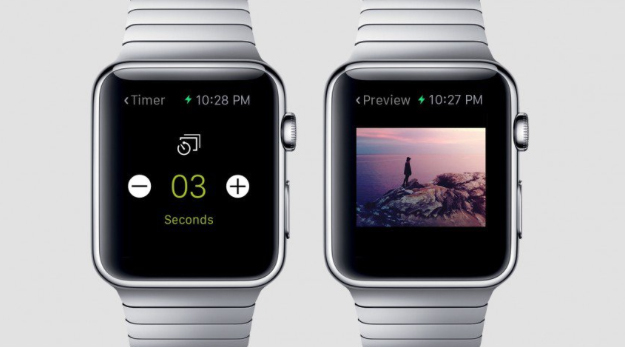 But, with the ProCamera app on the Apple Watch, you will be able to view what your camera can ‘see’ right there from your watch, so if you’re taking a group photo of yourselves then you can get everyone set to the right place without having to dart back and forth to the phone the whole time. Genius. Yep, ordering a takeaway no matter where you are just got even easier. JustEat is the app that lets you quickly order a Chinese, Indian or a pizza to your doorstep from 22,000 takeaways across the UK instantly. And now you can do it on your watch. Yummy. 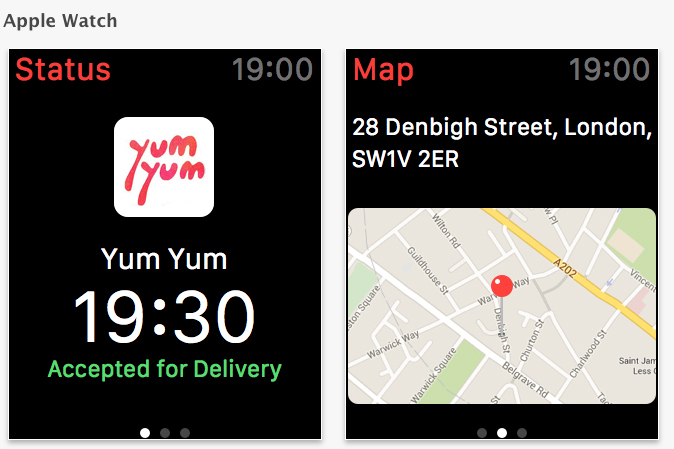 So, all in all, the experience of the Apple Watch is at the moment really all about enhancing the experience of your iPhone, enhancing the convenience of your already convenient apps, and basically as a bit of status symbol. As mentioned above, I think it will be a good 5 years yet before the majority of people start getting on board with smartwatches, by which time they will surely be far more independent devices, and the list of apps will be as long as your arm, though will all be wrapped neatly around your wrist. Do you use your phone to tell the time? 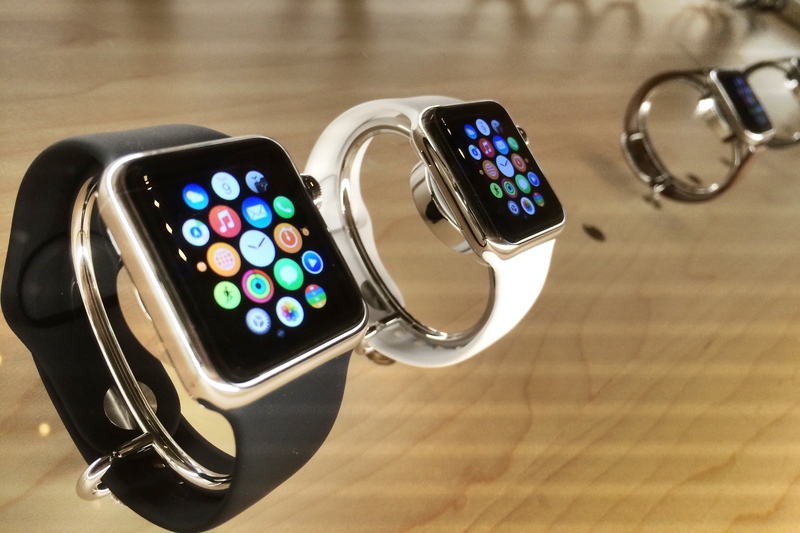 Are you one of the lucky people that are now using a watch to make a call? If so, tell us about your favourite apps in the comments below.